Please note some fees might only apply to each specific qualification. Re-assessment for a Replacement Assessment Task: AUD $200 (if the student is deemed ‘Not Yet Competent’ after 2 attempts (non-refundable)). Analysing and Processing Recognition of Prior Learning (RPL): AUD $250 fee for per unit of competency (non-refundable). Credit Transfer Application: AUD $200 (one-off and non-refundable). Reissuing a Qualification Certificate: AUD $60 (non-refundable). Reissuing An Academic Transcript or Attendance Letter: AUD $20 (non-refundable). Reissuing a Lost Student Card: AUD $10 (non-refundable). Late assessment submission fee: $200 per unit (if student fails to submit the required assessment according to the assessment schedule). 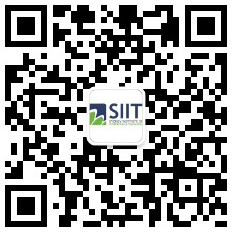 Note: For more information regarding the latest course information and timetable, please contact SIIT Marketing Team by 1300 769 588 or email: info@siit.nsw.edu.au.